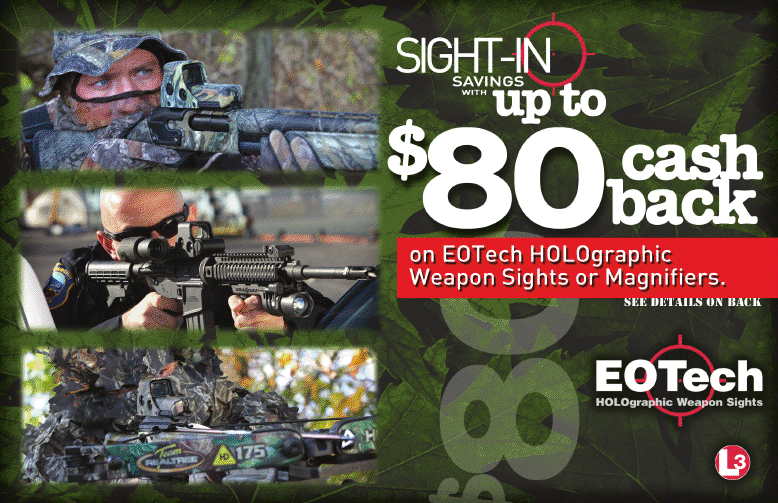 Eotech rebate! Buy good kit, and get a check back! 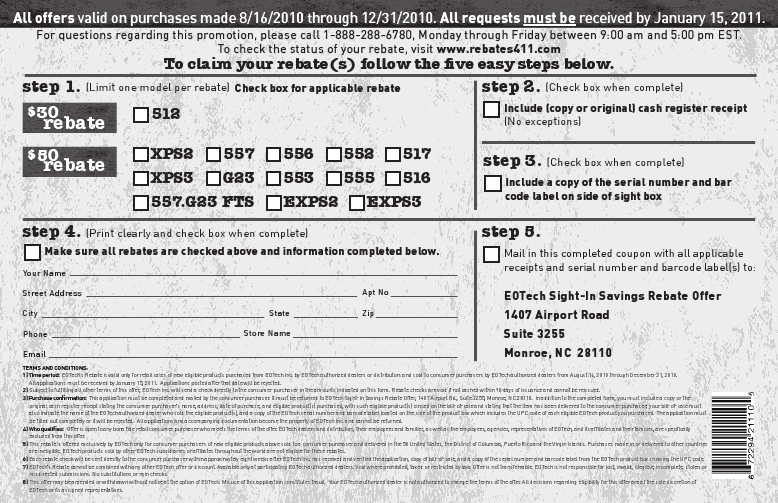 Eotech has a rebate going on, you must purchase before 12/31/2010, you need a copy of the receipt, the bar code from the box, then fill out form, and voila – you get a check back! Spike's Tactical Upper Receiver Groups can fight their way out of a wet paper bag! We have had a lot of success with the Spike’s Tactical line of compete upper receiver halves for AR15/M16 type rifles. And rightfully so. Spike’s Tactical manufactures an incredibly high quality product, and even better, sells them at an awesome price. Check out this great video they did documenting another “torture test” they put their products through to ensure their customer gets an awesome product. To purchase this and other fine Spike’s Tactical products, check out our new AIM Accessory Homepage. New Firepower Extreme FX45 Thunde rbolt .45acp Pistol. Features a rugged all steel construction, Mahogany grips, Extended Beaver tail safety, Picatinny light rail, adjustable white dot LPA Bomar sights, checkered front strap, checkered main spring housing with beveled magazine well, extended ambidextrous safety. A whole lot of features for the price! Compatible with most 1911 parts, and accepts 1911 magazines. 2.4lbs, 8.7″ overall length, 5″ barrel. 8+1 magazine capacity.